Biomarker is a biological molecule found in blood, other body fluids, or tissues that is a sign of a normal or abnormal process, or of a condition or disease. A biomarker may be used to see how well the body responds to a treatment for a disease or condition. So cancer biomarkers refer to a substance or process that is a sign of the presence of cancer in the body. The biomarkers may be a molecule secreted by a tumor or a specific response of the body to the presence of cancer. Ideally, such biomarkers can be assayed in non-invasively collected biofluids like blood or serum. As cancer diagnosis is a difficult thing in early stage. So this is an urgent need, which detect noninvasive molecular to assist in the detection and diagnosis of cancers in a cost‑effective manner at an early stage, when curative interventions are still possible. With development of studies, a number of genes and protein based biomarkers have already been used at some point in patient care; including, AFP (Liver Cancer), BCR-ABL (Chronic Myeloid Leukemia), BRCA1 / BRCA2 (Breast/Ovarian Cancer), BRAF V600E (Melanoma/Colorectal Cancer), CA-125 (Ovarian Cancer), CA19.9 (Pancreatic Cancer), CEA (Colorectal Cancer), EGFR (Non-small-cell lung carcinoma), HER-2 (Breast Cancer), KIT (Gastrointestinal stromal tumor), PSA (Prostate Specific Antigen) (Prostate Cancer), S100 (Melanoma), and many others. Mutant proteins themselves detected by Selected Reaction Monitoring (SRM) have been declared to be the most specific biomarkers for cancers because they can only come from an existing tumor. The measurement of genomics, transcriptomics, epigenomics, proteomics, metabolomics and other ‘omics’ methods can be used for cancer diagnosis, prognosis, and epidemiology, the cancer biomarker can be classified by the ‘omics’ type. The development of next-generation DNA sequencing technologies facilitated the comprehensive characterization of the cancer genome. A number of DNA based markers have been identified for cancer detection. For example, the markers of DNA repair have been used in identifying high risk population by examining the association between DNA repair capacity phenotype and genetic polymorphisms of the nucleotide excision repair (NER) genes and risk of tobacco related cancers, including cancers of the lung, head and neck, prostate, bladder, breast, and esophagus. In organism, DNA repair plays a key role in maintaining genomic stability. Several clinical trials shows that some patients with xeroderma pigmentosum (XP) are highly susceptible to ultraviolet light (UV) -induced melanoma and non-melanoma skin cancers. It is the consensus among scientists that DNA repair capacity may contribute to genetic susceptibility leading to cancer development in the general population. In addition, researches also find other important cancer biomarkers in genomics. Such as, loss of heterozygosity (LOH) ( it may contribute to cancer development in the study of gastric cancer), microsatellite instability (microsatellite instability is the phenotypic hallmark of a deficient DNA mismatch repair system, observed in 10–20% of sporadic colorectal cancers), mitochondrial DNA (D loop or displacement loop of the mitochondria carries mutations in a variety of cancers, such as breast, esophagus, head and neck, lung, and colon) and Circulating DNA (tumors release a substantial amount of genomic DNA into the systemic circulation, probably through cellular necrosis and apoptosis). The global measurement of mRNA expression, termed transcriptomics, has provided an understanding of cancer subtypes but, in contrast to DNA, is tissue specific. Using microarray technologies, many studies have identified panels of mRNA expression biomarkers that classify cancer into more precise subtypes based on associations with disease outcomes. In contrast to microarrays, which are limited to preselected mRNA probes, mRNA sequencing enables the sequencing of all mRNA present in a sample then, similar to DNA sequencing, maps sequences back to a reference library. Putative mRNA biomarkers in cancer are being identified using this newer, more comprehensive approach to searching for biomarkers. Epigenetics of human cancer has become an area of emerging research due to growing understanding of specific epigenetic pathways, identification of epigenetic markers, and rapid development of detection technologies. Since only 15% cancers are hereditability, it makes sense to understand epigenetics which covers the remaining cancers. Changes in the status of DNA methylation and chromatin modifications are one of the most common molecular alterations in human neoplasia. The CpG islands of many genes, which are mostly unmethylated in normal tissue, are methylated in human cancers, thus representing tumor specific alterations in age-matched population. DNA methylation markers are employed in cancer diagnostics for both disease classification and disease detection. As a classification tool, CpG island hypermethylation is generally analyzed on sufficient quantities of primary tissues such as surgically resected tumor sample. DNA methylation status of individual gene can be used for diagnosis and risk assessment. Abnormal methylation can predispose cells into precancerous stage through inactivation of tumor suppressor genes and cell cycle regulatory genes by hypermethylation and reactivation of oncogenes by hypomethylation within the promoter region. Immunohistochemical staining of proteins in formalin-fixed, paraffin-embedded tissue samples has been advocated by international experts for use in the clinic to classify tumors. Studies that used tissue microarrays and existing immunohistochemical protein stains in a high-throughput manner have identified new, putative cancer tissue biomarkers. The advances of mass spectrophotometry that enable mapping of a multitude of mass spectrophotometric peaks to reference libraries to identify proteins has facilitated the global assessment of cancer proteome. 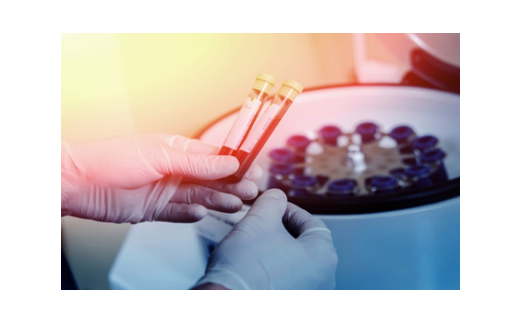 However, moving proteomic biomarkers from the exploratory mass spectrophotometry-based analyses phase into the clinic, which would require more stable measurement platforms, remains challenging. Similar to proteomics, metabolomics (also known as metabonomics) can be assessed in a targeted or unbiased manner, and mass spectrophotometry is used to identify chromatogram peaks as specific metabolites. Metabolomics is particularly promising for biomarker development because altered metabolism is considered a hallmark of cancer. Moreover, metabolites are frequently exported to the blood for transport or removal from the body via urine or faeces; therefore, these metabolites could serve as non-invasive biomarkers that accurately reflect the metabolic activity of tumor tissues. In addition, microbiomic biomarkers and exposome also play an important role in cancer diagnosis, prognosis, and epidemiology. Cancer biomarkers, particular those associated with genetic mutations or epigenetic alterations, often offer a quantitative way to determine when individuals are predisposed to particular types of cancers. Cancer biomarkers can also be useful in establishing a specific diagnosis. This is especially the case when there is a need to determine whether tumors are of primary or metastatic origin. To make this distinction, researchers can screen the chromosomal alterations found on cells located in the primary tumor site against those found in the secondary site. If the alterations match, the secondary tumor can be identified as metastatic; whereas if the alterations differ, the secondary tumor can be identified as a distinct primary tumor. Another use of biomarkers in cancer medicine is for disease prognosis, which takes place after an individual has been diagnosed with cancer. Here biomarkers can be helpful in determining the aggressiveness of an identified cancer as well as its likelihood of responding to a given treatment. In part, this is because tumors exhibiting particular biomarkers may be responsive to treatments tied to that biomarker's expression or presence. Cancer biomarkers can also be used to determine the most effective treatment regime for a particular person's cancer. Because of differences in each person's genetic makeup, some people metabolize or change the chemical structure of drugs differently. In some cases, decreased metabolism of certain drugs can create dangerous conditions in which high levels of the drug accumulate in the body. As such, drug dosing decisions in particular cancer treatments can benefit from screening for such biomarkers. Cancer biomarkers have also shown utility in monitoring how well a treatment is working overtime. Much research is going into this particular area, since successful biomarkers have the potential of providing significant cost reduction in patient care. Cancer biomarkers can also offer value in predicting or monitoring cancer recurrence. In addition to their use in cancer medicine, biomarkers are often used throughout the cancer drug discovery process. Another promising area of biomarker application is in the area of surrogate endpoints. In this application, biomarkers act as stand-ins for the effects of a drug on cancer progression and survival. Ideally, the use of validated biomarkers would prevent patients from having to undergo tumor biopsies and lengthy clinical trials to determine if a new drug worked. In the current standard of care, the metric for determining a drug's effectiveness is to check if it has decreased cancer progression in humans and ultimately whether it prolongs survival. However, successful biomarker surrogates could save substantial time, effort, and money if failing drugs could be eliminated from the development pipeline before being brought to clinical trials. Calzone, Kathleen A., Genetic Biomarkers of Cancer Risk. Seminars in Oncology Nursing. 2012, 28 (2): 122–128. Samir M. H., et al. Emerging molecular biomarkers—blood-based strategies to detect and monitor cancer. Nature. 2011, 8: 142-150. Li D., Chan D W., Proteomic cancer biomarkers from discovery to approval: it's worth the effort. Expert Review of Proteomics. 2014,11 (2): 135–136. Behne T., Copur M. S., Biomarkers for Hepatocellular Carcinoma. International Journal of Hepatology. 2012, 2012: 1–7. Musolino A., et al. BRCA mutations, molecular markers, and clinical variables in early-onset breast cancer: a population-based study. Breast. 2007, 16 (3): 280–92. Dienstmann R., Tabernero J., BRAF as a target for cancer therapy. Anti-Cancer Agents in Medicinal Chemistry. 2011, 11 (3): 285–95. Lamparella N., et al. Impact of genetic markers on treatment of non-small cell lung cancer. Advances in Experimental Medicine and Biology. 2013, 779: 145–64. Kruijff S., Hoekstra H.J., The current status of S-100B as a biomarker in melanoma. European Journal of Surgical Oncology. 2012, 38 (4): 281–5. Ludwig J.A., Weinstein J.N., Biomarkers in cancer staging, prognosis and treatment selection. Nature Reviews Cancer. 2005, 5 (11): 845–56. Leong P.P., et al. Distinguishing second primary tumors from lung metastases in patients with head and neck squamous cell carcinoma. Journal of the National Cancer Institute. 1998, 90 (13): 972–7. Mukesh V., Upender M., Genetic and epigenetic biomarkers in cancer diagnosis and identifying high risk populations. Critical Reviews in Oncology/Hematology. 2006, 60:9–18. Ashley J. V., Curtis C. H., Biomarker development in the precision medicine era: lung cancer as a case study. Nature. 2016, 16: 525-537.